Last night marked the first night of Passover. But since it was a Monday, we celebrated over the weekend. Yes it was a little early, technically before Passover actually started, but since Easter is next weekend, this past weekend just worked out better. For Passover, I usually only make Martha Stewart's Chocolate Chip Passover Cookies but this year I found another Passover cookie recipe so I decided to make both. The new recipe was for Martha Stewart's Chocolate Passover Cookies. That Martha Stewart, she might be into insider trading, but she sure is a cookie genius! Preheat oven to 350 degrees. Beat butter or margarine and sugar with a mixer on medium-high speed until fluffy. Beat in egg yolks and vanilla. Add chocolate, matzo meal, and salt. In a clean bowl and with a whisk attachment, beat egg whites until stiff peaks form. Gently fold into chocolate mixture. Add chocolate chips, and stir. Let stand 15 minutes. Scoop 2-inch balls onto a parchment-lined baking sheet. Bake until set, 10 to 12 minutes. Let cool on sheet on a wire rack for 2 minutes. Transfer cookies to rack, and let cool completely. Preheat oven to 350 degrees. Stir together matzo meal, farfel, sugars, and salt. Whisk together eggs, oil, and vanilla in a small bowl. Stir egg mixture into sugar mixture. Stir in chocolate chips and nuts. 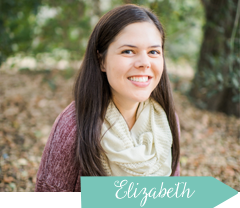 Roll dough into 1 3/4-inch balls; space 2 inches apart on parchment-lined baking sheets. Bake until golden, 16 to 18 minutes. Let cool on sheets on wire racks. Mine never come out as pretty as the picture but I'm always told how delicious they are. 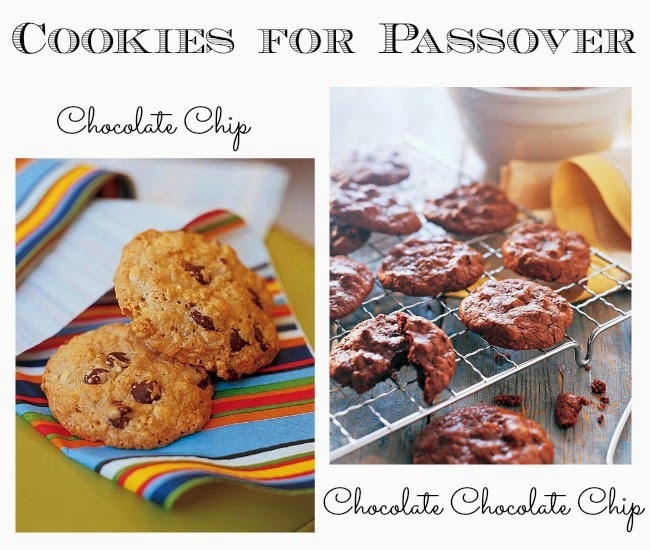 So, if you are celebrating Passover this year, or if you are just adventurous and want to try new cookies, I highly recommend both of these recipes! The chocolate ones were SO GOOD! They tasted more like brownies than cookies! And because I have to share a picture of Mason from Passover... here he is snuggling and kissing Bubbie (his 94 year old great grandma) after dinner. Happy Passover! I come from a mixed family as well (jewish mom) and my husband's step mother is jewish. We have gotten out of Passover the last two years due to the girls age and it falling on wk nights, but they will celebrate soon along w other holidays. I loves having both traditions as a kid and having my eyes open to learning and respecting all cultures. I just made dairy free chocolate chip cookies and they we're delicious. So my mind is officially opened beyond the normal ingredients these days. The chocolate chocolate chip cookies look divine. I could dive riiiight in. This totally makes me want a Mason hug. Is that creepy? I love that you do both and Mason can get two sides of experiences like this.